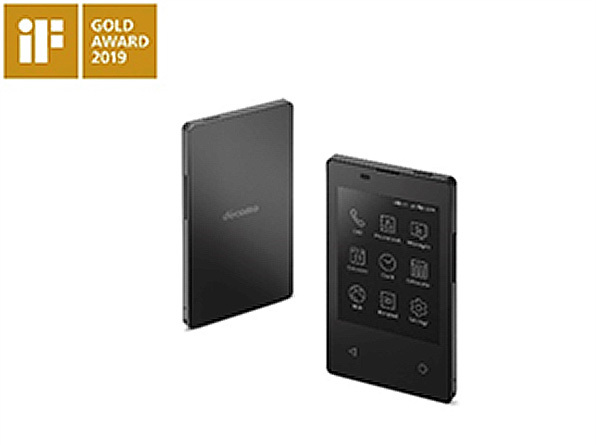 TOKYO, JAPAN, March 18, 2019 --- NTT DOCOMO, INC. announced today that its Card Keitai (KY-01L) ultra-thin mobile phone earned the company the gold prize at iF Design Award 2019 on March 15. 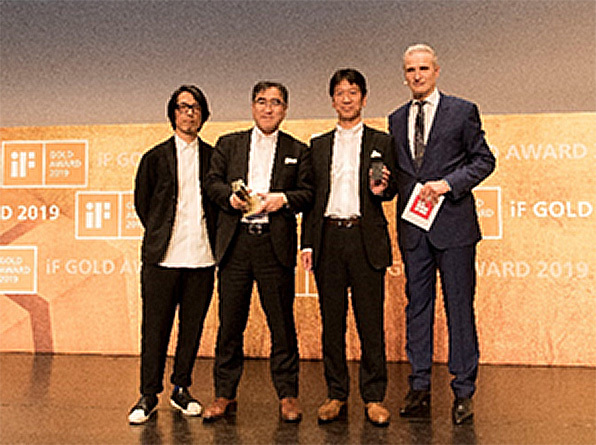 DOCOMO is the first Japanese mobile network operator to win the coveted prize. DOCOMO's Card Keitai is the world's thinnest and lightest*1 card-sized mobile phone at just 5.3 mm thick and weighing only 47 grams. Despite its super-condensed profile, the phone amazingly offers high-quality VoLTE calls, internet browsing and SMS. Moreover, its extra-thin e-paper screen consumes no energy when static,*2 helping to greatly extend battery life, and text appears to float above the screen's paper-like background, creating a unified ambience. The phone's simple, compact design facilitates easy use anywhere, anytime.